Long relationships between businesses and suppliers – especially those companies that sell vehicles – are not encountered as often these days as in the past. 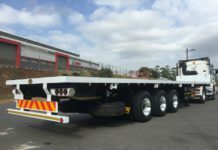 However, Capco, the Durban-based stockist, distributor and manufacturer of ceilings, partition systems and components, has continued its long-running relationship with Hino trucks by buying the first of the Wide Body Hino 500 1627 rigid freighters to be sold in KwaZulu-Natal. Currently there are 11 Hino trucks based at the Capco head office and warehouse in the Riverhorse industrial complex in Durban as well as a further nine Hinos based at the Gauteng warehouse, which is situated in Germiston. Capco operates a wide range of Hino models, from 1.5-ton 4093 light trucks to Hino 700 truck-tractors and rigid freighters, used mainly for long-haul operations and transporting loads of up to 38 tons. The truck-tractors have superlink trailers with tautliner bodies. One of the newer additions to the fleet is a Hino 300 614 which is low enough – less than 2.2-metres – to enter parkades and this is proving a boon to the company. The 500 Series 2626 rigid freighter is fitted with rear-mounted HIAB Moffett M4 forklifts to aid loading and unloading. 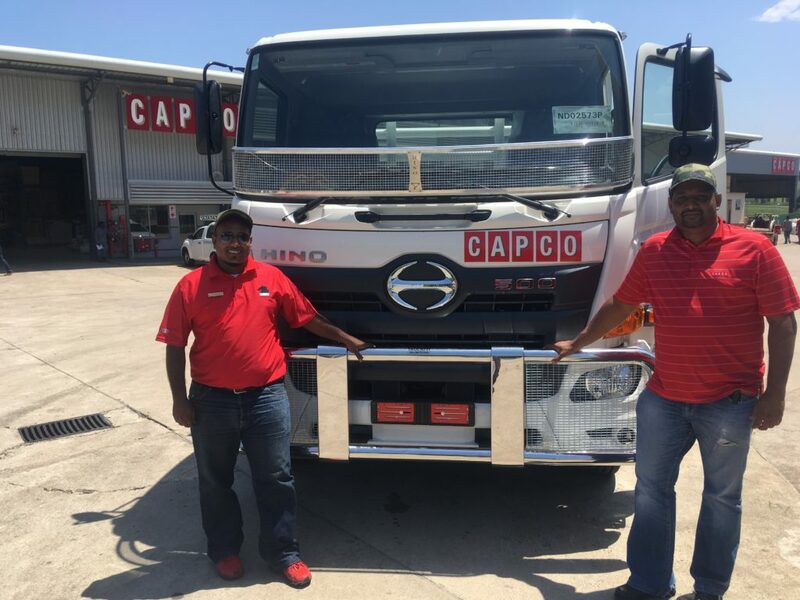 Transport Manager Moodley, who has been in this position with Capco since 2007, was also full of praise for Hino Shelly Beach, the current supplier of its Hino trucks. “Hino Shelly Beach provides brilliant service and competitive prices on both the trucks and their servicing, so I can understand why they won the Hino Dealer of the Year title for 2017,” said Moodley. “We, at Capco, have a special relationship with salesman Marlan Chetty. I have been dealing with Marlan since I began working at Capco. He is always prepared to go the extra mile for us if we have a problem or a special requirement. 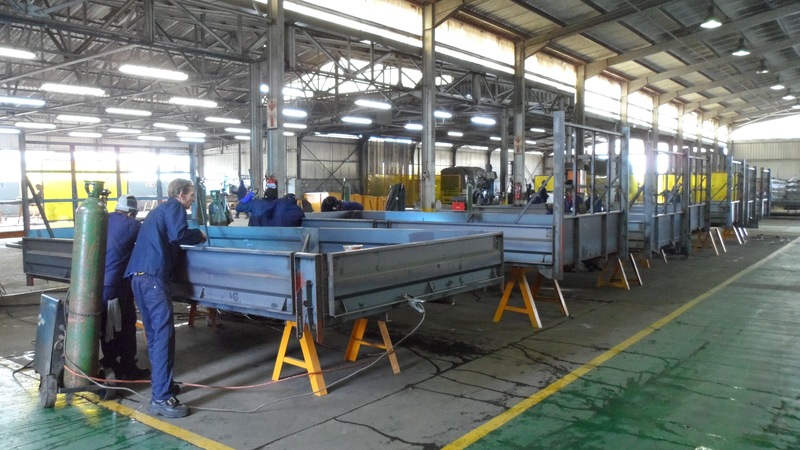 All the rigid freighters are fitted with drop side bodies made and fitted by L&S Body Manufacturers in Pinetown. 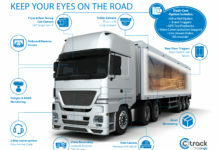 Moodley says truck utilisation is very high, with all vehicles tracked and monitored by a live Geotab system. The trucks travel wherever they are required, with the 700 Series models operating mainly between Capco’s Durban and Johannesburg warehouses. Servicing of the Capco fleet is carried out by Hino Shelly Beach when the trucks are under warranty and then routine maintenance is undertaken by Capco’s own technician. 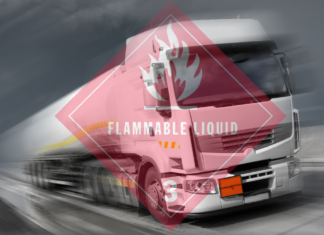 When required, the dealer sends one of its four mobile service units to Capco’s premises or the dealer collects and returns trucks serviced at its premises in Shelly Beach on the South Coast. Servicing takes place every 20 000km. The Hino trucks are giving long service, with several of them being 2005 and 2006 models, while the first 700 Series truck-tractors covered 900 000km before being traded in on a new model. 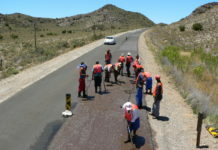 The drivers, which are all screened and evaluated personally by Moodley, have dedicated trucks which the transport manager says contributes to low maintenance costs. The other Hino trucks operate mainly in KwaZulu-Natal and neighbouring provinces but also go on long-haul routes when necessary. 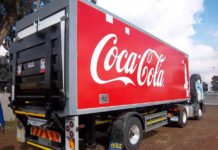 Transport manager Moodley is a truck man through and through, with his parents having operated trucks and buses before he joined a haulage company in Johannesburg. He then ran his own transport operation prior to taking up his current position at Capco. The name Capco says it all by spelling out the company’s business as it is made up of the first letters of Ceiling And Partitioning Components. 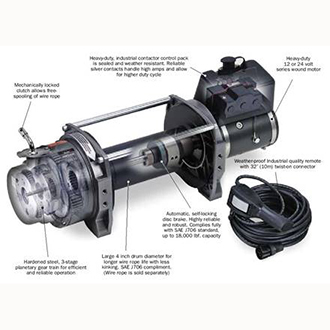 It is one of the leaders in its field with almost 30 years of history, while the management has more than 40 years’ experience of this business. During this period the company has developed the experience and expertise to create a unique niche for itself through its ability to translate the special design specifications of architects, designers and other customers into functional products that meet the design criteria. One of the projects in which Capco was very involved was the construction of the new King Shaka International Airport. “We are a tightly-knit team at Capco with many loyal team members with long service. We are all dedicated and committed to providing the best customer service in the industry and here our fleet of Hino trucks have an important role to play,” commented Naveen Moodley.